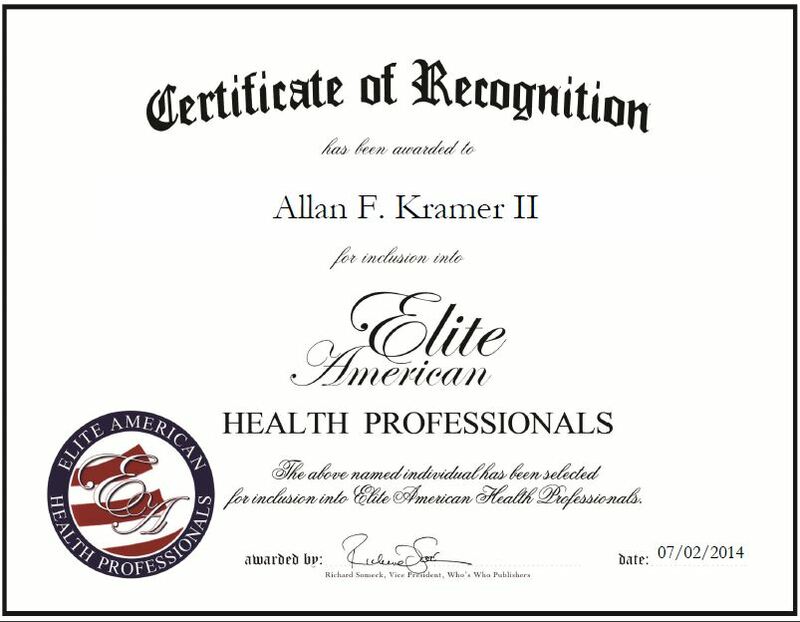 Brooklyn, NY, July 2, 2014, Allan F. Kramer II, Board President of the New York Memory Center, has been recognized by Elite American Health Professionals for dedication, achievements and leadership in health and wellness. Mr. Kramer has more than 30 years of experience and has been lending his knowledge and talents to the New York Memory Center, a nonprofit organization helping adults with cognitive, physical, and emotional limitations to enjoy life beyond diagnosis of memory loss, since 1992 when the organization was called Park Slope Geriatric Day Center. During his tenure, Mr. Kramer served as a director and vice president, and treasurer, and helped oversee the name change and transition to New York Memory Center. An expert in research, Mr. Kramer is responsible for overseeing the center as a volunteer for board functions. Mr. Kramer has won numerous awards for his services, including the Editorial Award from Chain Store Guides, Inc., Distinguished Service Medal from Brooklyn Botanic Garden and the PSGDC’s Good Neighbor Award in 1995. Mr. Kramer is dedicated to serving others and his community, and is always looking ways to assist people in living healthier and better lives. This entry was posted in Research and Education and tagged cognitive emotional limitations, nonprofit, research, volunteers. Bookmark the permalink.